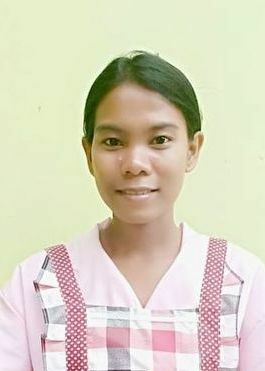 TRISNAWATI IS A FRESH HELPER FROM INDONESIA WHO HAS EXPERIENCE WORKING AS A HOUSEMAID IN HER HOME COUNTRY. HER MAID JOBSCOPE INCLUDES CHILD CARE, HOUSEKEEPING AND COOKING. SHE IS WILLING TO WORK WITHOUT OFF DAYS. WILLING TO TAKE CARE OF CHILDREN OR ELDERLY. AVAI;AB;E FOR INTERVIEW VIA PHONE OF WHATSAPP VIDEO CALL.